Mobile showroom You don’t need to leave home to choose the best quality paving. We have a well-stocked mobile showroom and will bring a wide range of pavers right to your door for you to choose from. Experience and Reliability With 18 years of experience we can work with all kinds of pavers and block sizes. We can also cope with any inclines and soil types. Iron Clad Guarantee Naturally, we guarantee all our work, not just parts of it. We also promise to return to site after a year to ensure that everything is still good. Best Quality Just Pave is regularly awarded contracts by councils and construction firms because of the quality of our work. Fully In-house Service We do all our work in-house, saving you the hassle of dealing with multiple contractors. We do pool landscaping, driveways, patios, retaining walls, lawn edging and we even lay artificial grass. Quick and Hassle-free We work quickly minimising the dirt, mud and other inconveniences that come with living on a job site. Clean and Thorough We always do a thorough clean up when the job is finished, leaving your home or business spotless. You will see from our testimonials how many endorsements we have for all aspects of our work. Driveway professionals can install, replace and repair concrete driveways, asphalt driveways, exposed aggregate driveways and other paved areas in various materials. Before work begins on a new or replacement driveway or other paved area, a Launceston, Tasmania driveway professional will assess your property’s grade, soil and drainage. They will then help you choose from a range of poured surfaces and driveway pavers, based on your home’s style and environment. Next, they will prepare the site and operate any heavy machinery needed to build the driveway or move pavers – however, construction may not be able to happen until after other contractors have finished. Find a driveway and paving contractor on Houzz. 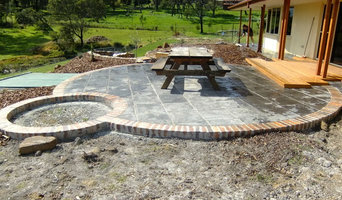 Narrow your search in the Professionals section of the website to Launceston, Tasmania Driveways. You may also look through Launceston, Tasmania photos to find examples of driveways and paving that you like, then contact the paving professional or contractor who worked on them.